Hey, why not? Aren't you tired of Christmas in July? It's time for another holiday. :) With a treat! 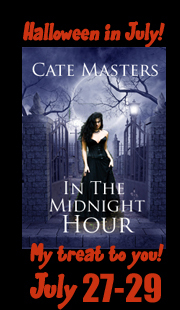 Today through Sunday, you can download my paranormal ghost story, In the Midnight Hour, free from Amazon. If you don't own a Kindle, you can still read it on your computer using the free app. So don't miss out! To get you in the mood, how about a ghost story? "Intelligent" hauntings, in which the spirits interact with the living, are reportedly rare, but not in Gettysburg. You can find dozens of accounts of such interactions - visitors recording Q and A sessions where they hear the dead person's responses only during playback, soldiers who appear quite alive walking up to park visitors and handing them objects (which later disappear, like the soldier), or soldiers speaking to people and then vanishing. On the campus of Gettysburg College, a Civil War soldier still keeps his sentry duty - and sometimes points his rifle at passing students. He keeps the college security guards busy! Gives new meaning to "college spirit." 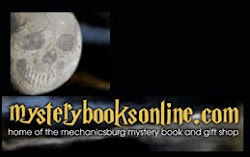 You can read more about Gettysburg College's ghosts here. Gretchen Hawk lives in a world where artistic expression is banned, a world where dancer's legs are severed if they move to the wrong music, fingers amputated for playing the wrong note, hands chopped off if the brush stroke of the painter is not what the Sovereign commissions. Consequences for the display of any type of artistic expression not conducive with the Sovereign's idea of a totalitarian society are severe, and Gretchen has the scars to prove it. Unwilling to comply, Gretchen upholds her Guardians of Artisan Liberties ideals, and seeks out Shen Fouch, the last artisan who is still "whole." But when she finds him, she uncovers a deception that she and Fouch must fight together. My short story, "Flight of the Hawk," will be published in SCHRODINGER'S MOUSE as a two part series. 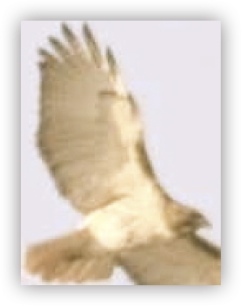 The first installment will be coming in October 2012, followed by "Flight of the Hawk's" dramatic conclusion in January 2013. It is a story about oppression and the miss use of political power, and one that is sure to live on in your mind long after you reach the end. SCHRODINGER'S MOUSE is edited by Tim Rowe and Ann Stolinsky. Back issues can be found at amazon.com in Kindle format. I've finally let it loose! 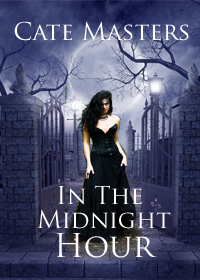 After more than a year and countless revisions, In the Midnight Hour is finally available on Amazon. Yay! Coincidentally, on the anniversary of the battle of Gettysburg, where the story's set in present day. But with the ghost population outnumbering humans, they're bound to run into one another. Especially in my story! I am crazy about this cover. And relieved - my approach to technical problems is to just keep clicking until it works, lol. I can't even count the number of times I clicked, but I'm glad I did. The book video came out pretty well, too, don't you think?